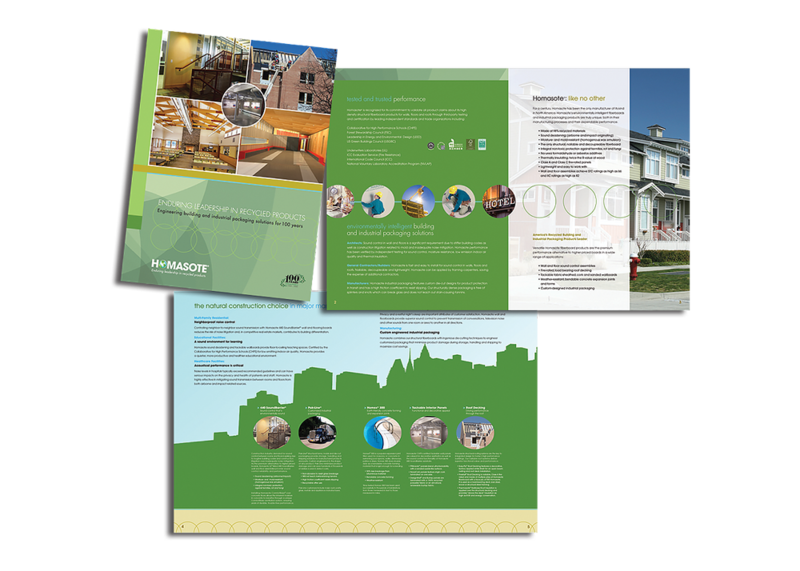 CMA strategically overhauled Homasote’s brand identity to power its marketing direction into the company’s second century by preparing a Marketecture™ analysis session, as well as market research including a nationwide survey for their primary target audiences. A new, contemporary logo and brand design was created featuring an earth image and leaf with water droplets to reflect the company’s moisture control and earth-friendly product benefits to complement its re-branding as the “premium performance alternative” to higher priced competitors. 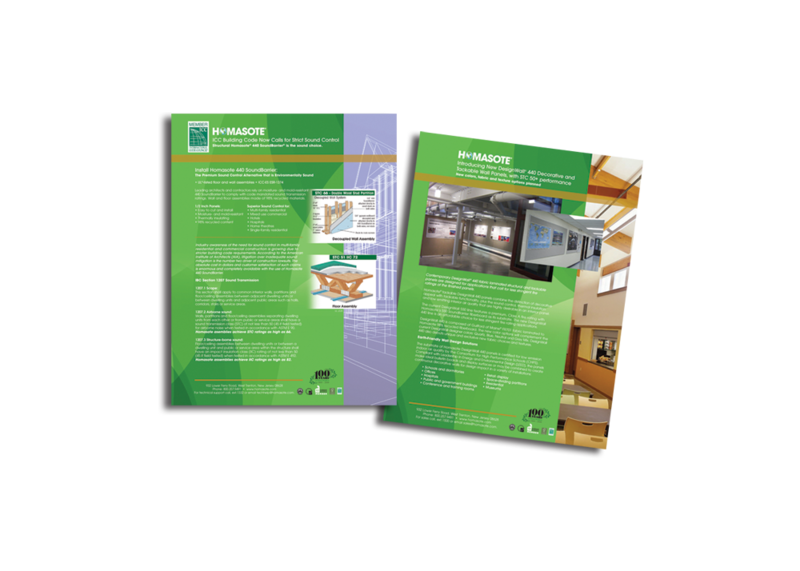 The project included print advertising in architectural, construction and green building trade media, a new corporate capabilities brochure, bi-monthly e-newsletter, as well as a robust public relations effort. 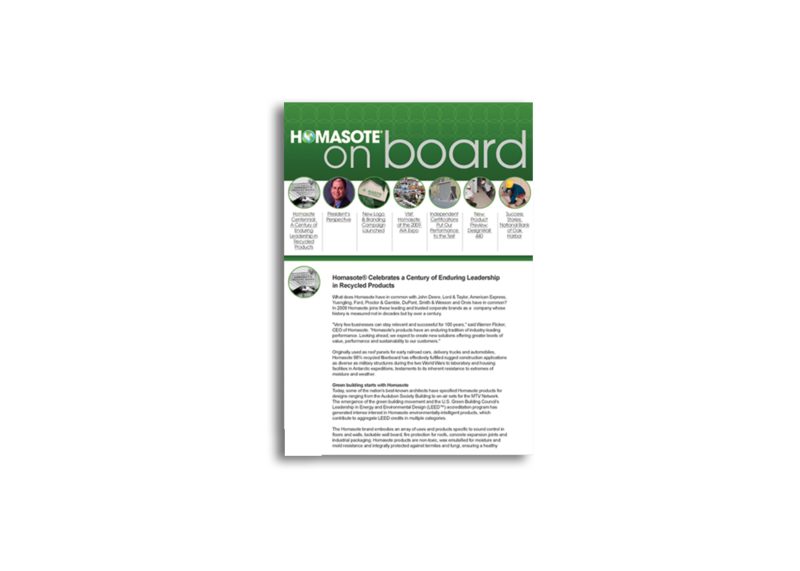 The rejuvenated sales and corporate communications tactics resulted in a transformational impact in the marketplace and on the company’s bottom line. 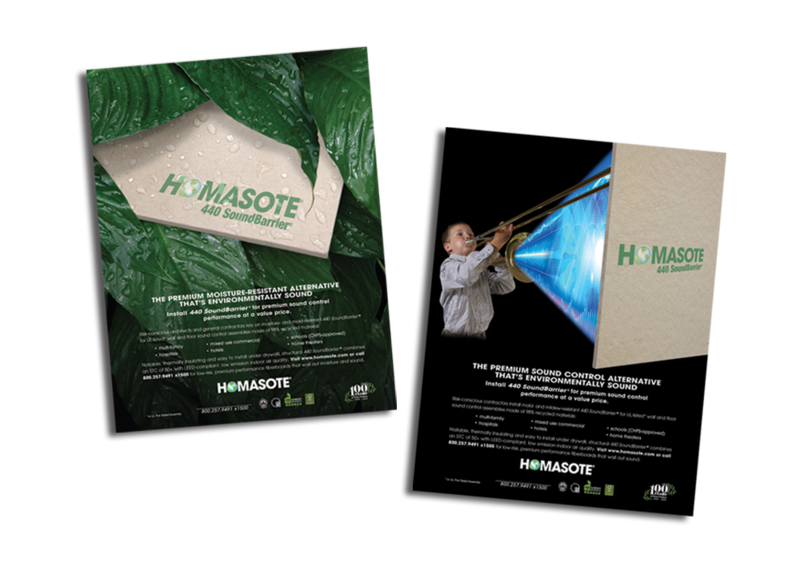 Scroll through the gallery to the left for examples of CMA’s work with Homasote.